Eddie is one lucky little guy! He found himself in a high kill shelter and no one came for him. We received an email and responded right away he was welcome to come to our rescue. Eddie made himself right at home! This happy little social butterfly loves everybody and everything. 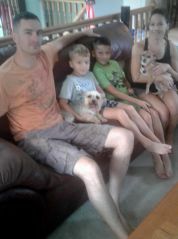 He has a great family to call his own now and a doggie sister who loves her new little brother. Thanks to everyone who helped Eddie get his second chance! 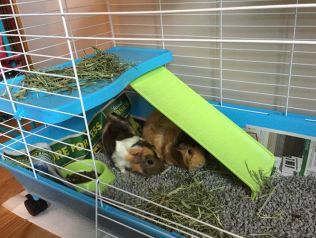 Today a pair of Abyssinia Guinea Pigs were adopted to a family who are eager to spoil them! Congratulations to Hermione and Duchess on their happily ever after in a castle with a supply of fresh veggies and Timothy hay awaiting their arrival. Thank you to their amazing foster family for the love and care they have provided to them! Sweet little Roxy was a former puppy mill breeder dog a few short weeks ago. She had no concept of being held or loved, her life consisted of having babies for greed. She came to our foster program only 6 weeks ago and has learned so much and come so far thanks to the patience of her foster family. Roxy still has a long way to go and her new family promised her they would give her whatever time she needs to know how much she is loved. Just like a new puppy, Roxy is starting her new life over and has so much to look forward to! Thanks to everyone who made this miracle happen for Roxy! 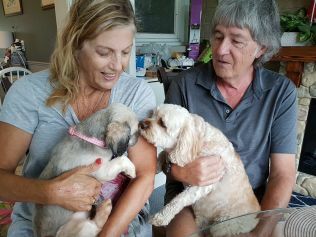 Sweet little Bailey came to our foster home a few weeks ago, his family wanted him to have a home where he was not left alone for long periods of time. He met his new family who were anxiously anticipating his meet ‘n greet. Bailey was very happy to meet his new dad and has plans to do a lot of “guy” stuff with him. He knows his new mom is ready at any time to give him lots of cuddles and kisses. Bailey has a wonderful life ahead of him without a worry in the world! 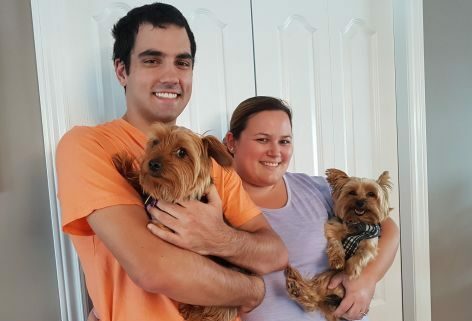 Thanks to everyone who helped Bailey get his Happy Ending! Charlie is a shy little guy when you first meet him. He takes some time to warm up. He is very happy he found his forever family at his young age! And he has a very excited little brother who was in his face the second they met. These two were very funny to watch, it was instant brotherhood in action! Charlie’s family have already sent wonderful updates and very happy to welcome this little sweetheart into their family. Thanks to everyone who helped Charlie get his second chance!